White Reaper have thundered to some prominence now, with the release of their 2014 self-titled EP, and magnified that as one of the standout performers at this year’s SXSW. 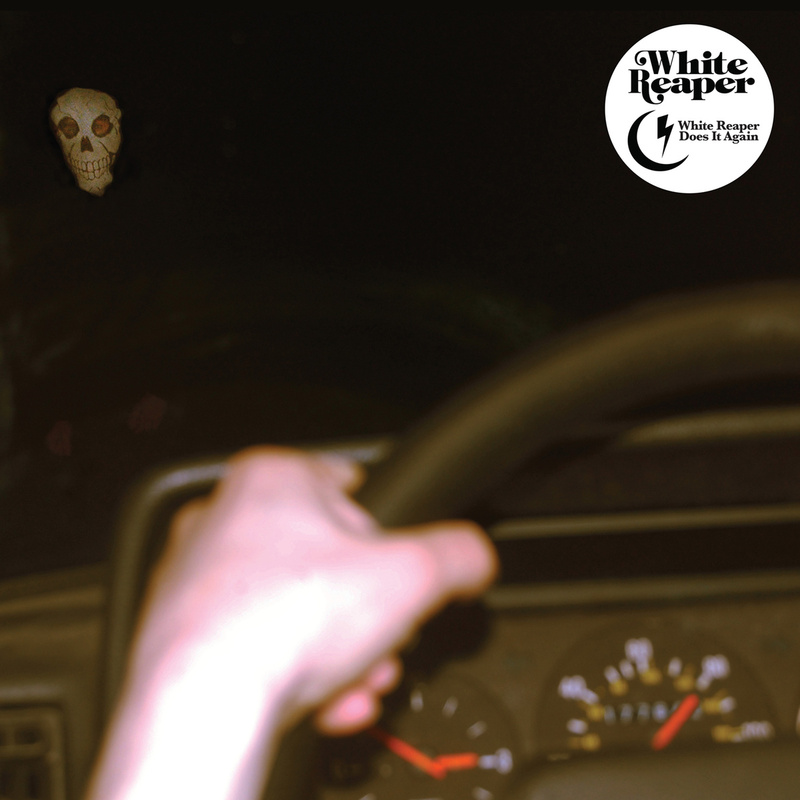 Now, they are “back” with their first full length release “White Reaper Does It Again”. The recent attention and exposure as not deterred the Louisville four piece from creating an album full of all the youth garage rock angst, and catchy fun listeners love. The album’s opening track, “Make Me Wanna Die” establishes the pugnacious Friday night out attitude which statins until the very end, and will not subside. Brimming with unfledged rambunctiousness and zeal of a recent high school grad, that creates an intoxicating nostalgia for listeners out of their teens. The track “Friday the 13th” is two minutes of pure frenzied energy, and one of the best rock songs of 2015, capturing listeners from start with a haunting synth line (lined with garage influence) followed by addictive guitar line creating a song that is a must listen and one you will play on repeat a few times before going to the next song. White Reaper is poised to have a big year and hopefully a more fulfilling career, do yourself a favor and go ahead and hitch a ride on this rock wagon. Youthful, rowdy, and boisterous, Whiter Reaper is a band rock fans need to know, and “White Reaper Does It a Again” is an album that is must own.